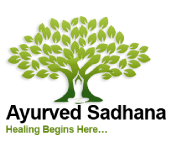 Rasayana: Ayurvedic Rejuvenation Therapy practices are done after Panchakarma seasonal cleansing, after treatment of disease, after injury, in cases of debility, and to combat aging and foster a long, healthy, productive life. Rasayana: Ayurvedic Rejuvenation can be as simple as taking certain life-extending plants or minerals; or it can include regimens of special diets, body therapies, seclusion, mantra, meditation, and other yoga practices. Ayurvedic medicine stands out in the art of rejuvenation. The class will explore theory, therapies, recipes and different protocols for different needs. Vaidya Bharat will cover the various topics in this 24 hour course along with important Rasayana preparations at the end of the class. Dates: Classes are spread as Theory and Hands-on classes, starting Sunday August 19, 2018, through Sunday August 26, 2018, 11:00 am – 6:00 pm and following with Hands-on class on Saturday September 22, 2018, 10:00 am – 6:30 pm MT.